Spring gets busy at our house. Between sports, school projects, work projects, and getting the yard in ship shape, things are flying! When it comes to supper, I like something quick, tasty and healthy. Cue the Frittata. A Frittata is basically an open-faced omelet. It starts on the stove top and finishes in the oven. Add a salad or fruit salad side and you have a nice, tasty, quick meal. One of the best things about a Frittata is you can use what you have on hand. 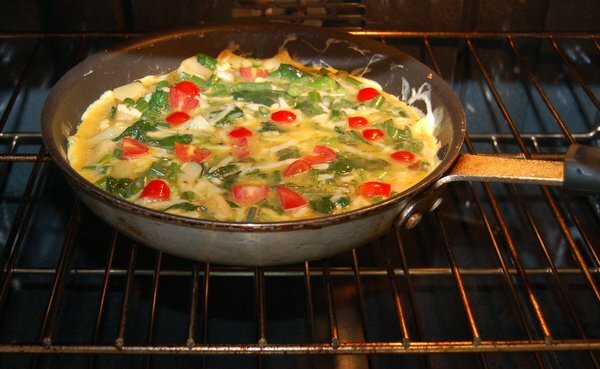 Throw in whatever veggies you have on hand along with eggs and cheese, and voila’ – you are ready for Master Chef. The other great thing about a Frittata is that it’s versatile. It’s great for breakfast, brunch, lunch or dinner. It even tastes good cold. 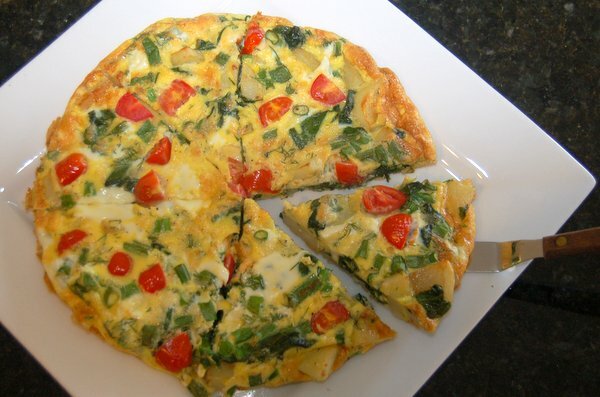 My daughter loves to take a wedge of Frittata in her lunch! A couple of tips. A solid nonstick pan is the key. If you are still worried about sticking, spray it with a little Pam before you start. Don’t use too much cheese. If you go overboard with the cheese, it will stick. If you like extra cheese add a bit more on top just before it’s finished. Don’t overcook. Overcooked eggs are not at all appetizing. If you are able to get your hands on some fresh new potatoes, you don’t even have to peel the spuds – just wash and slice! 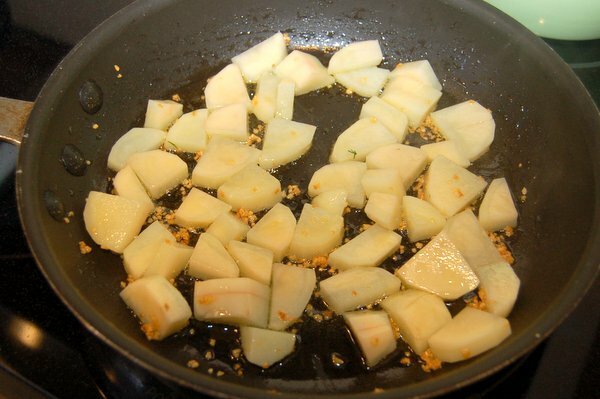 Saute potatoes in oil and garlic until tender. 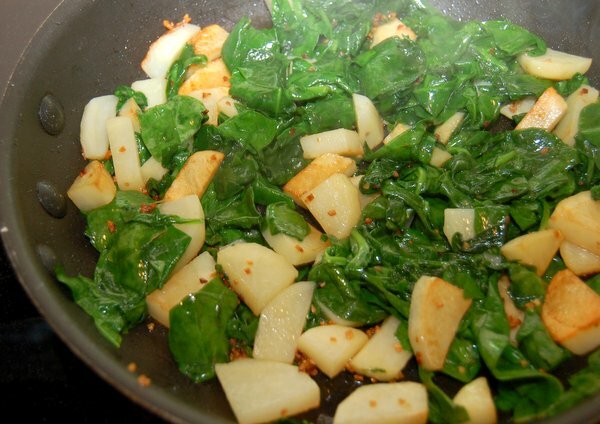 Add spinach to potatoes cook until spinach is wilted. 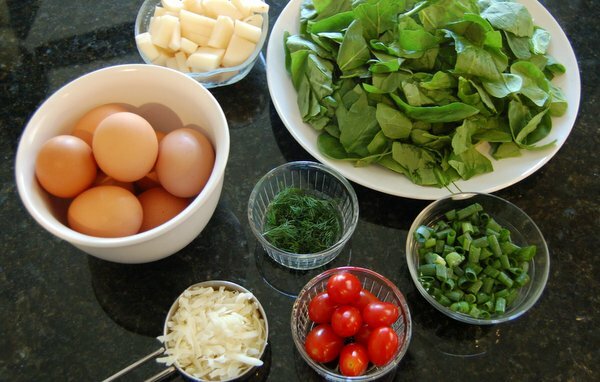 Add egg mixture to potatoes and spinach, cook until sides start to set. Transfer pan to oven and bake until middle is set. In a bowl, beat eggs and milk. Stir in cheese, dill, salt, pepper and onions. In a 10 inch nonstick saute pan, heat oil over medium heat and add garlic. Add potatoes and cook for about 5 minutes, stirring frequently until soft. Add spinach and cook 1 minute or until spinach is wilted. Reduce heat to low. Spread the potato mixture evenly in the bottom of the saute pan. Pour egg mixture over top. Top with tomatoes. Cover and cook about 2 or 3 minutes until edges are just set. Transfer to preheated oven and bake for 10 – 15 minutes or until top is just set. Also its something everyone in my house will enjoy. That looks really freaking good!!! I *love* to make frittatas! So easy, and with a salad it makes a nice meal. I will have to try this one – I might substitute another herb for the dill; I love dill in pickles but the flavor is so distinctive and I associate it so much with pickles that I don’t really like it in other dishes. Hi Jennie -I also make it with basil…it’s really good too! Jennifer – Just be careful with too much cheese, it makes it hard to get out of the pan.Works ok though if you just put the extra on the top! Di – It is a good nutritious dish.. that doesn’t break the bank! 😉 I hope your family enjoys it! Yum! Looks and sounds delicious! Nice to know basil can be substituted. I love old dishes Pattypie, and you always post such a pleasant presentation. 40’s dishes are so fun! Now if you would just send it all prepared for us, we would all win! 🙂 Excited to try this. I have never been a big egg person, but I got hooked on frittatas when Jennie made a couple of really good ones. I enjoy them very much. It’s funny, they are a bit rich, but a smaller portion generally fills me up and I love the idea of throwing everything you have in the fridge in them. I would try the dill, but I love basil so much, I think I’d want to start with one of those. 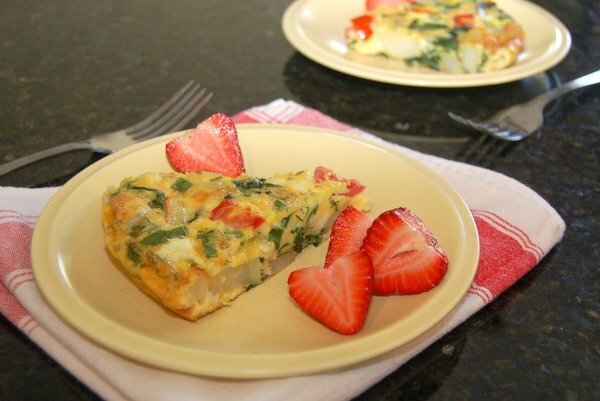 Love frittatas and this recipe is so easy, thanks for sharing! Looks delicious! My husband and I love frittatas! I love Fritattas and this is a great variation! Thanks for sharing! This looks really tasty and something that my whole family would love. I like that there are so many varieties that you can make to satisfy even the pickiest of eaters (unless they don’t like eggs, smile). Oh! This looks great! Also something that seems like it needs to be eaten right away! lol! That looks awesome! Thanks for sharing, I love super easy recipes. I like that idea that you just throw in there whatever veggies, sound healthy. i only knew egg fratata and this one is a keeper too. Thanks for sharing the recipe. YUMMY! 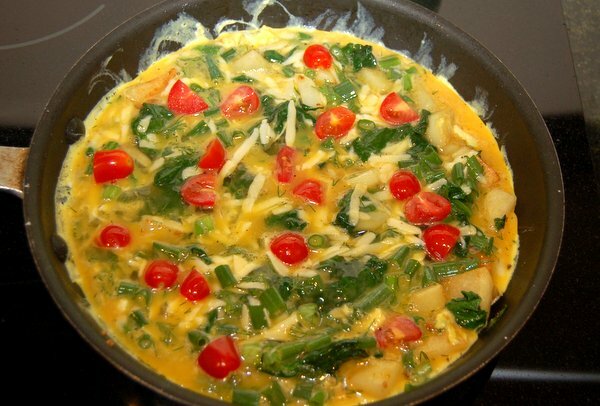 Frittata is a favorite around here, but I use the same old ingredients every time. I like that you have tomatoes in yours. They are so colorful! This does look delicious. I love when Patty is cooking in our Imperfect Women kitchen! Just harvested a LOT of potatoes, and really would like to make this with the farm fresh eggs I just got with my CSA share. Really enjoy the flavor of dill, too! This looks so delicious!!! Awesome recipe!! I might try this at home and see if my family likes it. I will be looking forward to more recipes from you!! Thanks a bunch for the recipe. It looks so good, I would love to have some right about now lol 🙂 I am going to try this for sure! !